These video tutorials show you the step by step instructions for the selected topic. Click on a link in the list below to go to that video. 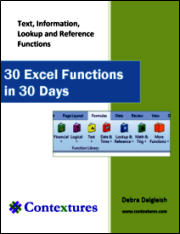 Most of the video tutorials are about 3 minutes long, and demonstrate a key topic in Excel.